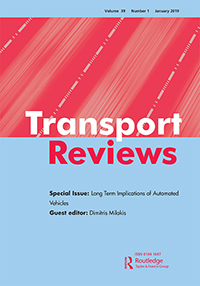 The Special Issue on long term implications of automated vehicles has been recently published in Transport Reviews and is available here. 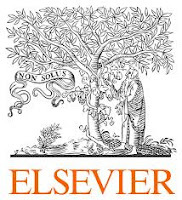 I am pleased to announce the Call for book chapter abstracts on “Policy implications of AVs” (Elsevier book series: Advances in Transport Policy andPlanning). Submission deadline: 15.01.2019 (max 400 words).Editors: Dimitris Milakis, Nikolas Thomopoulos, Bert van Wee. Thus far, research on policy implications of AVs has been mostly country agnostic. In this edited book volume, we focus on country-specific and cross-country/city variations of AV implications. For more information click here. My new position at the Institute of Transport Research, German Aerospace Center (DLR)! Excited to announce my new position as Head of the (new) research group on ‘Automated driving and new mobility concepts’ at the Institute of Transport Research, German Aerospace Center (DLR) in Berlin! 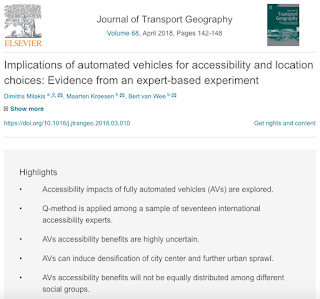 Our new article with Maarten Kroesen and Bert Van Wee on accessibility implications of AVs is featured in Elsevier’s latest key research list on AVs and is now offered free to access until September 30, 2018 (available here)! In this article, we applied Q-method among a sample of 17 international accessibility experts and concluded that changes in accessibility because of automated vehicles are expected to (a) be highly uncertain, (b) induce both densification and further sprawl, (c) be distributed unequally among social groups. In our new book chapter with Kate Pangbourne, Dominic Stead, and Miloš Mladenović, we critically reflect on the “(false) promise of freedom” that accompanies MaaS. We contend that MaaS could feed unsustainable travel behaviours and pose threats to transport and social resilience and we discuss the implications for governance. What is your acceptable commute time? Have you ever thought what is your acceptable commute time? A Google search on the term “acceptable commute time” returns a long list of people’s posts discussing (views on) their acceptable commute time (see here). 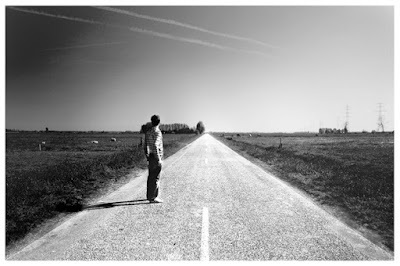 It is true that quite frequently people consider a potential destination as not realistic choice compared to others, because it would require too much time to reach it or simply as people put it “this is too far for me”. The obvious question that arises here is how someone decides how far is too far to travel to a particular destination. In other words, do people identify an acceptable travel time for each trip they want to make?